If, like me, you are slightly put out by the fact that your copies of the four books in The Giver Quartet by Lois Lowry do not have matching covers. At least, this is the case if you bought the books as they were released (no pun intended.) The Giver was published in 1993, Gathering Blue in 2000, Messenger in 2004 and Son in 2012. You can buy them all in hardcover with the new covers, below. 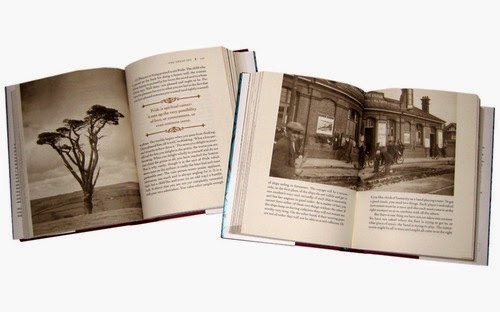 Or, you can buy the complete quartet in one volume, as seen above. I am generally not a fan of omnibuses, but The Giver Quartet is both beautifully designed, from the simple but elegant cover to the red edges on the pages, to silvery end papers and the red ribbon book mark to the size and weight of the book. This is NOT a doorstop book! 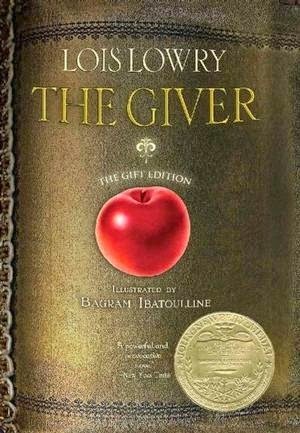 I did a side-by-side comparison with The Giver Quartet and Harry Potter and the Goblet of Fire and Lowry's book is much lighter! So, this is one rare instance where I wholeheartedly encourage you to consider this all-in-one edition if you are looking to own the complete set of books in this amazing quartet of books! 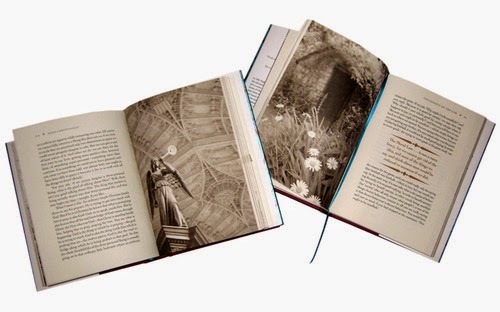 For those of you who are really big fans, don't miss the illustrated, gift edition of The Giver. Bagram Ibatoulline, who has illustrated books by Kate DiCamillo, among others, brings his vision of Lowry's world to this fascinating edition.